Following comments made this week by President Higgins on the lack of reform of the Direct Provision system and homelessness (reported here), questions are again being raised on the role of the President and whether by speaking out on controversial issues, Michael D is acting contrary to the Constitution. The issue has rarely been far from public attention during the presidency of the current incumbent. 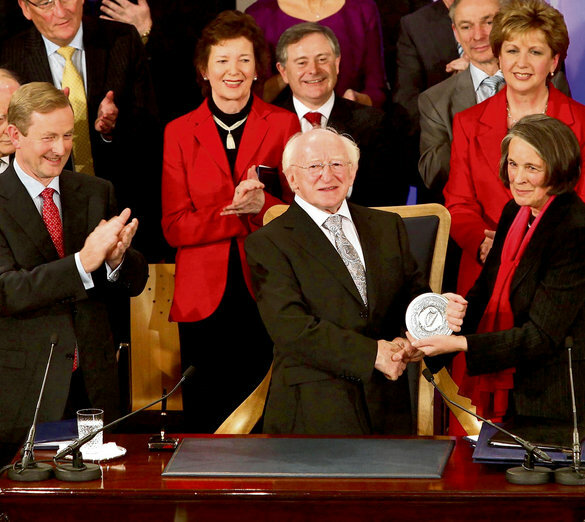 However, while traditionally the presidency was seen as a conservative office, since Mary Robinson, the presidency in Ireland has evolved – recent Presidents have been described as having pushed the boundaries of the office. Robinson is frequently lauded as having ‘saved’ the presidency by doing so but she also courted her fair share of controversy during her time in office, having met with the Dalai Lama despite criticism from the Chinese government and the discomfort of Haughey’s government. She also became the first Irish President to meet Queen Elizabeth and, in defiance of her critics, she famously shook Gerry Adams’ hand, saying he was elected by the people of West Belfast, and in shaking his hand, she was shaking theirs. In many respects Robinson’s actions were more controversial than those of Higgins as she frequently clashed with the government – which is when things could become problematic from a constitutional point of view. The Constitution sets out the duties of the President but does not state explicitly that the President must remain politically-neutral or non-controversial. The holder of the office is constrained in many of the duties conferred by the Constitution as a result of Article 13.9 which requires the President to perform his duties ‘on the advice of the government’. 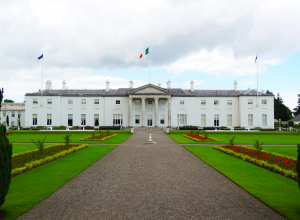 Indeed, the President must first seek the approval of the government before addressing a message to the Nation on any matter and before any address to the Nation or the Houses of the Oireachtas, he must also consult the Council of State. The rules of parliamentary debate also provide that the conduct of the President is not open to comment. All of this is to ensure that there will not be a conflict between the President and government of the day. Article 12.9 even provides that the President cannot leave the State without governmental consent. Thus, while it does not openly say so, these Articles have resulted in a convention, similar to that which applies to judges, that the President should not become involved in a political controversy. However, as a convention, this is not legally enforceable as such. In fact, conventions are more akin to a type of etiquette or political morality. But while the President is inhibited in many ways, the Constitution also contains a provision in Article 13.8 which declares that the President is not answerable to either House of the Oireachtas or to any court for the exercise of his powers and duties under the Constitution. This puts the President in a relatively independent position. We cannot deny the fact that the presidency is now a political office. The successful candidate is democratically elected and the views of candidates are well publicised before the election. We cannot expect the office-holder to remain silent on issues that are important for the people of Ireland and it is unrealistic to expect him or her to be truly apolitical. Robinson often described her role as President as being a voice for the people and while the Constitution officially recognises two types of role – guardian of the Constitution and head of State – it seems as though the office has unofficially incorporated this additional aspect of being a mouthpiece for the people. In fact, it is this new element of the presidency which is said to have revitalised the office and has ensured its popularity of late. At the same time, there are boundaries which, while they may be pushed, should not be crossed. One such boundary is for the President to openly criticise government policy. A great attempt is made in the Constitution to prevent such a scenario from ever happening. President Higgins has been careful in this regard; he has not explicitly criticised the government and there has been no open breach of the Constitution, but it appears as though his most recent comments have come quite close. While many people might agree with the comments made, the Constitution clearly assigns the policy-making role to the executive branch of government and therefore it is not controversial to say that the President should not intervene in specific policy issues. The office should not be a platform for pursuing policy-driven agendas – popular, well-meaning, or not. 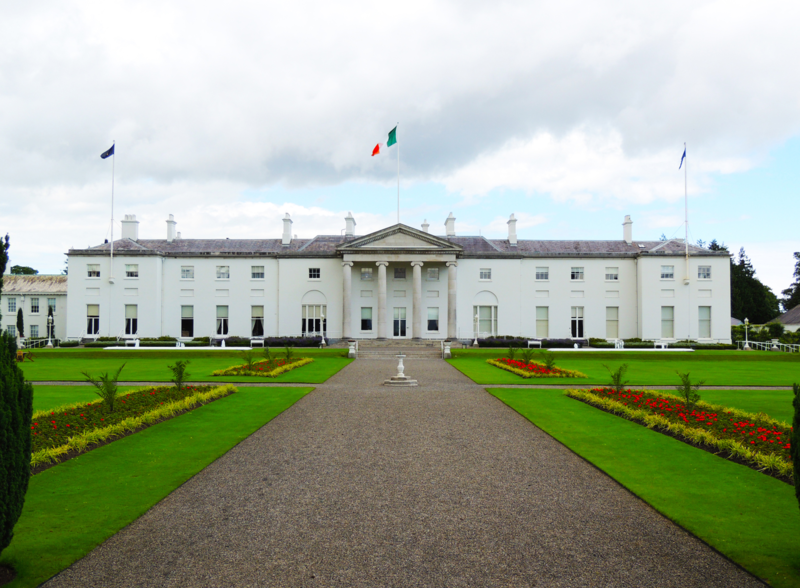 The role of the Presidency today is a vague one and the incumbent must walk a fine line, upholding the Constitution, observing the conventional niceties of the office while also representing the people of Ireland and providing an increasingly important ‘ voice for the voiceless’. In doing so however, the President must be careful not to push the boundaries past breaking point.